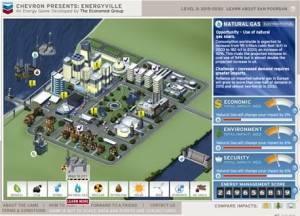 Energyville The Economist Group (U.S.A.), Chevron (U.S.A.), 2007 Play it Now ! 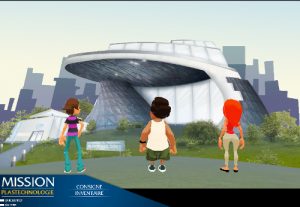 "Chevron sell petrol, in this context it's very difficult to know if the market targeted by this edumarket game is really the ecology." 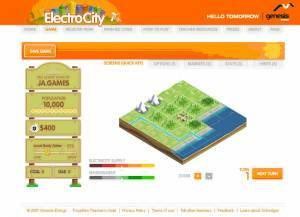 In this game, the player has to manage the energetic aspects of his city.